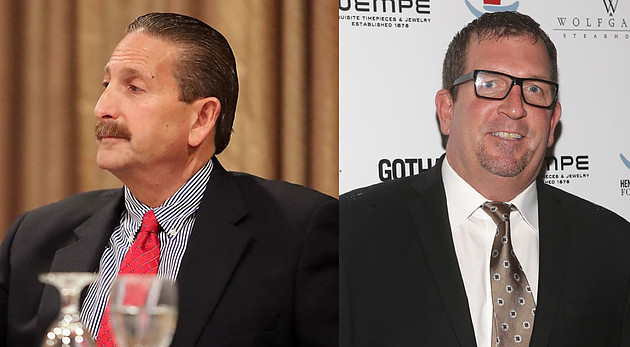 The Suffolk County Sports Hall of Fame has added two individuals to its Board of Trustees. Pete Blieberg and Stephen Costello assumed positions on the board under Chris R. Vaccaro, the new Executive Director of the Hall. Blieberg, a former longtime athletic director at Sachem, East Islip and Kings Park, is currently Assistant Executive Director of Section XI. Blieberg was honored as an inductee of the Hall in 2017. Costello has had a long and successful career in sports and business. A former senior executive at P.C. Richard and Sons, he most recently was an executive with the Omnicom group where he helped lead Steiner Sports. Remaining on the board is also Mike Ryan, Mike Lonigro and Lois Malenczak Cloud. Learn more about the Suffolk Sports Hall of Fame on SuffolkSportsHOF.com.